Donations are tax deductible in Israel (section 46), the United States (501c3) and Canada. Globally, civil public discourse today is at an all-time low. Communities are mobilized around perceived threats rather than working together for a better future that instills hope. More than ever before, we need to learn to be discerning in the way we evaluate information and opinion, make sense of our experience, and be proactive as thoughtful members of our communities. This is especially so in the Middle East, where history and politics amplify the current corrosive trends. We believe education is a strong vehicle to bring about change. It allows us to raise children to see the world – and their future – as full of possibilities informed by human difference, rather than full of dangers, where difference breeds suspicion and fear. It starts with developing our children’s capacity to think together about questions of human flourishing, to function respectfully across differences of worldview, politics, culture and aspiration. 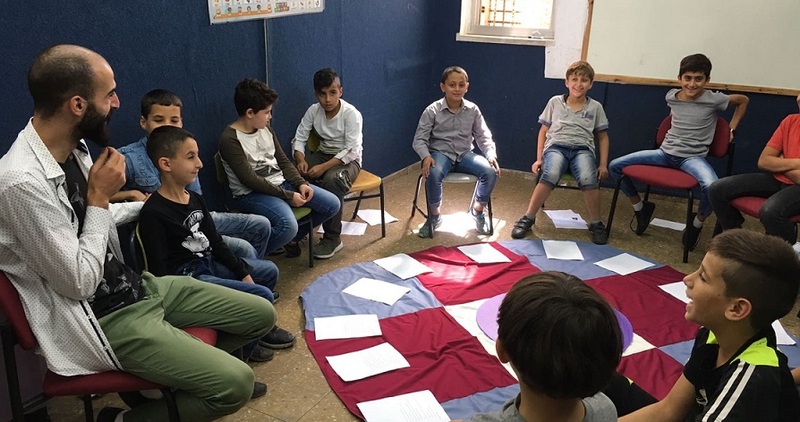 The Israeli Center for Philosophy in Education -“philosophy for life” has been working with schools across educational sectors (Jewish secular, Jewish religious, and Arab schools) for 12 years. This call for funding is to strengthen our work in the Arab sector. 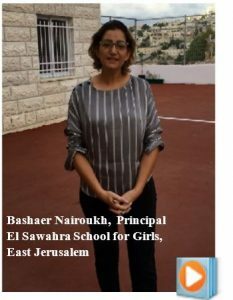 This year our program is reaching over 1,200 students in East Jerusalem. We need to raise $12,000 by the end of July to support our work in the Arab sector. 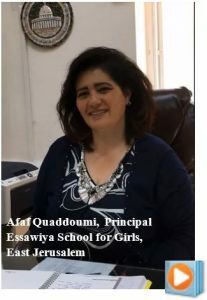 In 2018/2019 we plan to expand our work in East Jerusalem and bring this program to schools in Israel’s North. We are fundraising now to produce curricula materials that are developmentally, culturally and linguistically appropriate for these populations, and to provide ongoing training and mentoring to facilitators. If we raise more than the targeted $12,000, it will enable us to respond to requests from schools to provide school-wide philosophy events and special events for their parents. For all this we need your help. Please join us to realize this goal. The Israeli Center for Philosophy in Education – ‘Philosophy for Life’ (ICPE) is a project of Topaz – Leading Social Innovations. Topaz was founded in 2000 by a team of Israeli social entrepreneurs as a not-for-profit, non-sectarian, voluntary association. With the aim of contributing to the growth and sustainability of Israeli society, Topaz formulates and nurtures innovative and creative social ventures in a supportive environment. Topaz’s mission is to drive large-scale change by identifying, investing in, connecting and supporting social entrepreneurs and other innovators dedicated to solving some of Israel’s most pressing problems. Initiatives of The Center are carried out through strategic partnership, including partnerships with the Karev Program, the Ministry of Education, Hebrew University and Haifa University and schools. The Center offers programs to schools and professional development programs for teachers, social change agents and institutions (schools, non for profit organizations) in such areas as Philosophy for Children, pedagogies of engagement and inquiry based learning. The signature pedagogy of the Centre is that of developing ‘Communities of Inquiry’ in keeping with the educational movement “Philosophy for Children”. Such communities are marked by pluralism, openness, intellectual rigor, and the creation of safe environments for dialogue. The refrain “Philosophy for Life” carries the Centre’s commitment to linking Inquiry with the question “How ought we live?” and to the practical implications of reflective inquiry for our own lives. 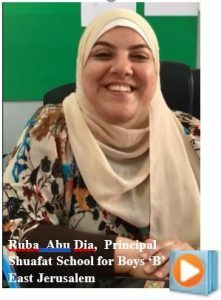 Interests of the Centre that inform its work include: children’s philosophical thinking; critical thinking; democracy education; the promotion of children’s voice in education; multiculturalism; spirituality, religious education and reason; and the development of the whole child. The Israeli Centre for Philosophy in Education contains a research agenda in the areas of Philosophy for Children, justice oriented deliberative democracy (social inquiry, citizenship education), cosmopolitanism, human dignity (identity, pluralism), philosophies of childhood, and the connection between inquiry and particularist traditions (religious education, cultural identities).